Ajinkya Rahane may be one of India’s most valuable batting assets in in the longest format of the game. His performances with the bat in tough overseas conditions often remind us of a certain Rahul Dravid’s grit, perseverance, determination and patience. However, his performances in ODI cricket paint a completely different picture as he is yet to find his feet in the format even after five years. It is never easy for an Indian cricketer to live up to the hopes and aspirations of millions of fans. If one doesn’t fit in quickly to the team, it becomes more difficult for him with every passing game. With more and more young and talented players waiting on the fringes, a player always needs to cash in on the opportunities provided to him. The modern format demands batsmen with versatility and an X-factor. Unfortunately, Ajinkya Rahane, India’s brightest talent in Test cricket, is proving to have none of these qualities in the limited-over format. An average of 33 after playing 70 ODIs doesn’t speak much for a player like Rahane who has an average of over 50 in Test cricket. While he has almost consistently batted at No.5 for India in Tests, he has been tried and tested at various positions in ODI cricket. Although he started his ODI career at the top order, his inability to make an impact, coupled with the exceptional performances by Rohit Sharma and Shikhar Dhawan, forced the team management to push him down the order to No.4. Moreover, his versatility makes him a victim as whenever either of the openers is out with any injury, it is Rahane who is promoted up the order. In the ongoing ODI series against New Zealand, he has again been asked to open the innings along with Rohit Sharma as both KL Rahul and Shikhar Dhawan are ruled out of the series with injuries. The constant switching in his batting position doesn’t help his cause. However, this is international cricket and a player has to adapt to the conditions provided to earn his place in the squad. In the four matches against the kiwis so far, he has managed only one half century with 100 odd runs to his name that too at a poor strike rate of 73. Gone are those days when a strike rate as low as 70 would have been considered as a decent one in ODIs. ODI cricket has evolved at a brisk rate with the advent of T20 cricket and most modern batsmen have strike rates of over 85 in ODIs. But, Rahane looks nowhere near to those statistics and he may soon lose his place in the squad to others if this continues for a bit longer. At the moment it looks like the Indian team management has firm faith in Rahane that one day he will get out of the rut he finds himself in and becomes the same player that he is in Test cricket. He is special in the way he bats; the elegance, the timing, the grace and the class makes him an absolute treat to watch. However, what he lacks are two vital aspects of modern day cricket - the ability to rotate the strike and also the ability to score at a brisk pace. It has often been seen that he gets tied down a bit at the beginning of his innings especially if pace bowlers are operating. He tries to go for the odd boundary to release the pressure created by dot balls and that eventually leads to his downfall. Even if he survives the initial burst his inability to accelerate at the back-end of the innings like Rohit Sharma makes him a less tempting option to field in white ball cricket. Moreover, the arrival of a player like KL Rahul who has proven that he can bat at any position in any format, has made the situation even tougher for Rahane to survive in limited overs format. As strike rates don’t have a huge impact in Tests, Rahane will continue to be the first name in that format as long as he can keep his good form going. India has persisted with out of form Shikhar Dhawan for a long time and they would not be against the idea of trying him out a few times more on his return from injury. And with the return of Suresh Raina and KL Rahul, Rahane might find himself pushed to the fringes. Although India has backed players like Rohit Sharma who didn’t get to the best of starts in international cricket in the past, Rahane may not get the same luxury. The reason India could back Rohit Sharma in the past was because the team was in a reconstructing phase at that time. With the lack of players who could influence the game with their individual performances, it was necessary for India to back Rohit who looked like one of those prospects. And he didn’t disappoint! However, now that there is a bunch of immensely talented players on the bench waiting, India cannot afford to keep giving endless opportunities to any of those players like Rahane; for it would be injustice to the others. 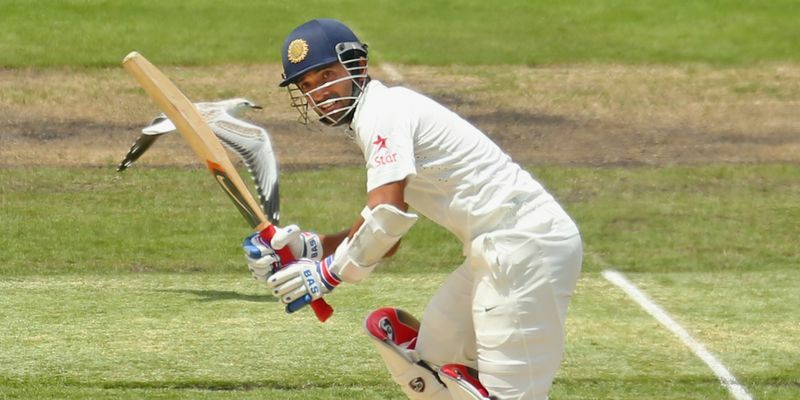 However, for a player like Rahane to succeed it is important to assign him a particular role in this format. It is the responsibility of the team management including Coach Anil Kumble and Virat Kohli to chalk down a plan on how to use the immense potential of Rahane; for excluding him could be a huge loss to the team. Even former Indian Captain Sourav Ganguly has echoed his thoughts in support of Rahane saying: "Rahane needs to settle down and Dhoni and Anil Kumble need to have a word with him. I don't think Rahane's place is in doubt. He is a bit like Rahul Dravid. When Dravid came in, he struggled with his run-rate. He got a role and that's what the team management needs to do with Rahane. He is not a boundary-hitter. He needs a bit of time and then keep hitting deliveries in the gap. To think of leaving him out from the ODI side will be an absolute blunder by the team." Rahane has already missed out on making a mark in this series against the Kiwis and he would be low on morale right now. However, another gruelling Test series against England is about to start from Nov 9 and he should shift his attention to performing in the format he loves again. Nobody knows if he is going to feature in the ODI team again with the bunch of players currently available. But as it is said, “Someone’s pain is someone’s gain”, so an injury to any first team player may just open the door for Rahane again. Moreover, Kohli and Kumble have firm faith in him and they may just give him a few more opportunities to try and get the best out of him. A Techie by Profession and a Sports Writer by Passion, Prasenjit loves writing about the nitty-gritty details of Cricket & Football. He hails from the 'City of Joy' i.e. Kolkata in India. Writing about sports is something that Prasenjit can't live without.He also blogs regularly at his blog 'The Cricket Corridor'. You can follow him on twitter at @Prosen02."